When an appliance or light fixture suddenly goes dead, it is very likely that a circuit breaker has tripped and interrupted the power flowing to the electrical circuit. While there are other problems that can cause a total power outage to your entire home, when only a portion of your house goes dark or silent, it's almost certainly caused by an individual circuit breaker tripping. The circuit breakers in your home are generally located in a gray metal main service box, usually located in a utility area, such as a basement, laundry room, garage, or utility closet. When located in a finished room, the main breaker box may be contained in a wall cabinet. If you do not have a main circuit breaker box, your home's electrical service is probably older and the circuits may be controlled and protected by fuses. Fuse boxes operate similarly to breakers but require a different process to restore the circuit if a fuse "blows." Once you have located the main circuit breaker box, open the metal door and look for a bank of switches arranged in rows. There may be different types of circuit breakers in the box, but all operate the same way, and all are reset in exactly the same fashion. Open your breaker box door and look for the breaker on which the switch lever has shifted away from the ON position. It likely will be the only one with a lever that is not pointing in the same direction as the other breakers. Most circuit breakers come with an orange or red marker window indicating that it has tripped. If there is no indicator, look for the switch that has shifted fully to the OFF position. Most experts recommend that the circuit should be drawing no electrical load at the moment the tripped circuit is reset. This is not mandatory but is a highly recommended safety practice. Flip the circuit breaker switch. Push the switch into the ON position to reconnect your circuit and restore power to it. With some circuit breaker styles, this reset action may mean first pushing the breaker lever fully to the OFF position then back to the ON position. You will feel resistance in the lever, followed by a distinct clicking sound or sensation as the breaker clicks to the ON position. Turn on lights and appliances along the circuit If the breaker trips again immediately, it's time to call an electrician. Never handle circuit breakers or even approach the main circuit breaker box if the floor is damp or wet. Under such conditions, call an electrician or make sure to wait until the floor is dry before opening the breaker box. If a short circuit condition exists, a damp floor can be very dangerous. A circuit breaker is a type of electrical switch that controls and protects the wiring circuits that feed outlets, fixtures, and appliances in your home. These special switches can be used as simple ON/OFF switches to turn off circuits to make repairs and improvements, but they also have a special design that allows them to shut off automatically when too much current is flowing through the wires, or when there is a dangerous circuit interruption known as a short circuit. They also shut off the power in the event of electrical surges, such as if a lightning strike suddenly overwhelms the household wiring with too much voltage. The automatic function of circuit breakers offers critical safety protection to the wiring system in your home since the excessive voltage can cause fires or ruin appliances. A circuit breaker that trips repeatedly, or trips again instantly after you reset it, signals that something more serious is present. Most typically, circuit breakers trip because a circuit is drawing too much current for the amperage rating of the circuit breaker and the wires it feeds. The best way to eliminate this kind of tripping is to reduce the electrical load on the circuit by moving appliances to outlets fed by different circuits. This often occurs with appliances with motors or heating elements, because these appliances place a fairly high electrical load on circuits. If this proves impossible, it may be necessary to have an electrical upgrade performed by an electrician, who can add additional circuits to your system. Large appliances such dishwashers, microwave ovens, and garbage disposers should be on their own "dedicated" circuits, but in homes with older wiring, it's common for two or more appliances to be fed by a single circuit. Such circuits will be more prone to overloading and tripped breakers, so you may want to have the system upgraded to prevent this. 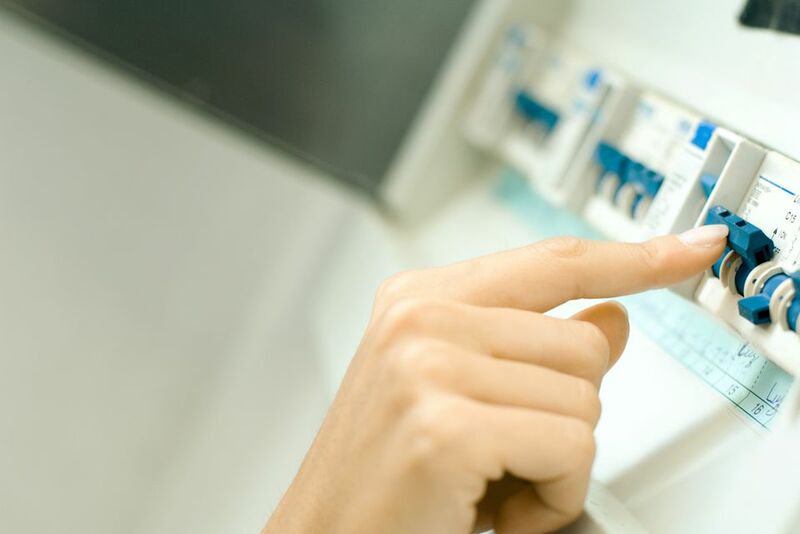 Call a pro immediately if you experience regular circuit outages, detect a burning smell, or notice signs of deterioration, such as scorching, rusting, or corroding around your circuit breaker or main circuit breaker box. Ignoring electrical failure can result in fires and other home-threatening problems. A circuit breaker that trips instantly when you reset it usually indicates that there is a short circuit somewhere in the system. This is a serious condition, and you should have an electrician examine the wiring and correct the situation. Leave the circuit breaker in the OFF position until the situation can be investigated and corrected. Circuit breakers sometimes wear out and begin to trip for no other reason than simple wear and tear. In this instance, the circuit breaker needs to be replaced. This is normally a job for a licensed electrician, although a very knowledgeable and confident homeowner can do it.